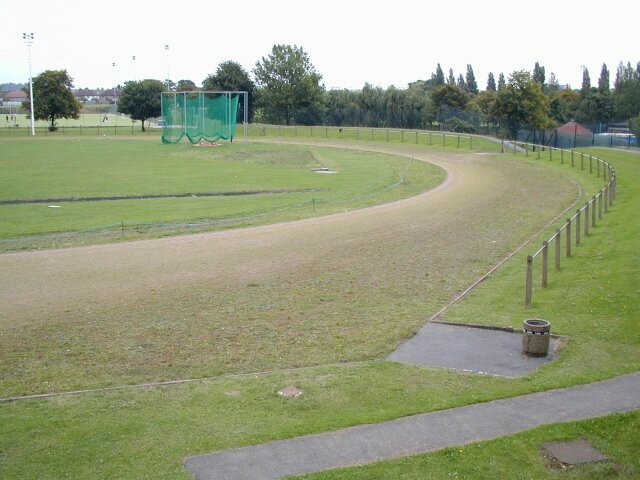 The track has not been used for serious athletics for some years and is in poor condition and slightly overgrown. The all-weather HJ area has large cracks and is thus unsafe. There are also all-weather (black) LJ/TJ and PV runways although the PV box has been grassed over. The track was home to Middlesex Ladies before they moved to West London (now Linford Christie) Stadium and subsequently amalgamated with Ealing & Southall AC. At the instigation of the West London Hammer School a new HT cage was installed in the spring of 2000 and HT competitions have taken place here although the circle is actually a DT sized one.